Home of the famous Schuyler Family from the late 1700s the the early 1800s. The Schuyler Mansion is a historic landmark and museum in modern day downtown Albany. It has housed events like Alexander Hamilton and Millard Fillmore's weddings and has been used in a multitude of ways throughout United States history. Philip Schuyler was born in Albany, New York in 1733. At the age of 22 Schuyler joined Britain's fight in the French and Indian War. He had the roll of quartermaster during this war. This meant that he purchased supplies and organized equipment for his company. During 1761 Schuyler traveled to England to settle his accounts from purchasing supplies during the war. Sean Greene, “The Historic Schuyler Mansion,” Albany Walks for Health, accessed April 20, 2019, http://www.albanywalksforhealth.com/items/show/18. "Alexander Hamilton." Wikipedia. February 24, 2002. Accessed March 8, 2016. https://en.wikipedia.org/wiki/Alexander_Hamilton. "Philip Schuyler." Wikipedia. August 30, 2003. Accessed March 8, 2016. https://en.wikipedia.org/wiki/Philip_Schuyler. 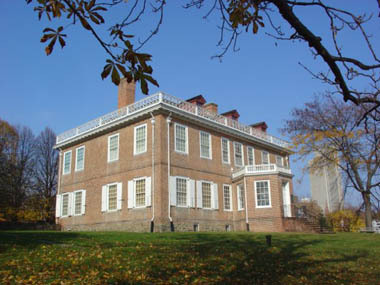 "Schuyler Mansion Historic Site." New York State Parks. Accessed March 8, 2016. http://nysparks.com/historic-sites/33/details.aspx. "Schuyler Mansion." Wikipedia. July 8, 2007. Accessed March 8, 2016. https://en.wikipedia.org/wiki/Schuyler_Mansion.